ItemPDP09683 - Superintendent Anthony Walsh. ItemPDP03759 - 3E Emprunt De La Defense Nationale: Souscrivez Pour La France Qui Combat! Pour Elle Qui Chaque Jour Grandis. ItemPDP03848 - Sketches in BC: Places visited by the Marquess of Lorne and Princess Louise. ItemPDP03885 - Governor Richard Blanchard's house, Fort Victoria. ItemPDP04214 - HMS Repulse In Vancouver Harbour. 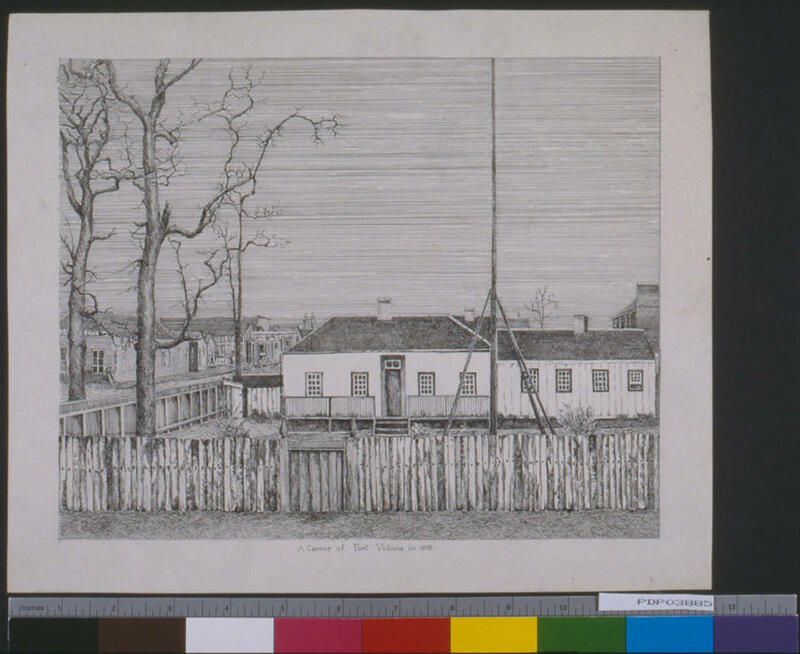 Item PDP03885 - Governor Richard Blanchard's house, Fort Victoria.